Essential oils are well known for being used in Aromatherapy to soothe and calm the senses. However, these high-powered plant extracts have more uses than just that. Essential oils actually have a ton of great uses. You might be surprised to know that they can even be used to make candles. In this detailed guide, we’ll take you through making your very own natural essential oil candle. Essential oils are extracted from plants, but plants actually use them in nature for a variety of reasons. Some essential oils act as antimicrobial agents, healing catalysts, hormonal agents, defensive deterrents to predators and pests, the list goes on. Essential oils are highly concentrated extracts of these ‘oils.’ They’re called oils despite their watery appearance because they’re extracts of oil-soluble chemicals found in the plants. Because of their formulation, they’re able to provide benefits to us in a variety of ways. How hard is it to make candles with essential oils? It’s fairly easy, and even a super novice level DIY-er can do it. It’s not expensive either, so it’s a great way for anyone to bring essential oils into their home. We’ll walk through the steps, and you’ll be making your own essential oil candles in a snap. There’s something to be said about the variety of candle making mediums out there. You’ve got tons of wax-based options – soy, gel wax, tallow, bayberry wax, and more. Technically, you can use any material to make essential oil candles. That being said, the best option by far is soy wax. Because the melting point of soy wax is lower, you can melt the wax for the candle without getting it so hot that it evaporates the essential oils. So for this process, we’ll be referring to soy wax. But you can repeat the process with a different wax if you choose to. You’ll need about 16 ounces of wax for a single candle. For a few candles, 3 pounds should be sufficient, although this can vary greatly depending on the type and size of candle you’re making (a pillar candle will use a lot more wax than a couple tea light candles). Jars or tins: you can use any kind of jar that appeals to you, so long as you’ve got the materials to fill it. Some good options are mason jars, old candle jars (completely cleaned out, of course), single tumbler glasses, really anything you could imagine keeping a candle in. Wicks: you’ll find no shortage of types of wicks from traditional corded wicks to wood wicks. You can use whatever appeals to you, but a typical wick will be easiest for beginners, and we’ll use that in our example. Just make sure your wick is longer than the height of the container or jar you plan on using. 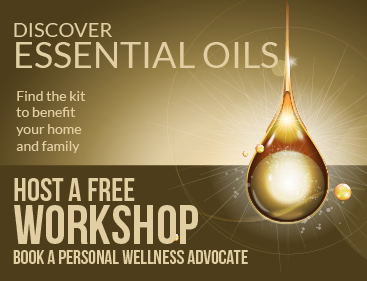 Essential oils: pick your desired essential oils, this is entirely up to your preference. Just scent test them first, as some essential oils are purely for therapeutic purposes and therefore don’t have a very appealing scent. You may need up to ½ ounce of your chosen oil. Coloring (optional): adding color to your candles is entirely optional. Soy wax melts to a nice, opaque white anyway, and a lot of candle makers are happy with the finished result. If you do choose to add color, there are specialty products to add color to candles, like colored wax cubes, liquid drops, and colored wax pellets. Note: some DIY forums suggest using crayons to color candles. While that is an option, your candles won’t burn as evenly, may have uneven color, and might release a slight crayon scent. Sticks or stakes: get some wooden sticks or stakes. Long kebab skewers work really well for this, and you just might already have some around the house. Thermometer: a candy thermometer is the best option. They’re widely available at supermarkets and craft stores. Glass measuring cup, double boiler, or pot and metal pitcher: you need at least one of these, and what you use determines the method you use to make your candles. For making candles using the microwave, you need the glass measuring cup. For the stove, you need either the double boiler or a pot and metal pitcher. This one is easy. Get your materials arranged and your workspace ready. Also, make sure all your containers and cleaned out and dust free. It’s a simple step, but it prevents hassle later on. Some candle makers use a kitchen scale to weight out their wax, and you can choose to do it that way, but you don’t have to. For a lot of at home candle crafters, it’s more practical to use your jar to measure your wax (at least if you only plan on making a single candle or a few candles at once). It’s important to remember that as wax melts it takes up about half as much volume. Pour your wax granules into your candle jar. Fill the jar almost to the top. Then, pour the wax from the jar into a separate container and set aside. Then, fill the jar up to the top with wax granules again. Pour the granules into the container that you’ve set aside. Yes, you’re doing this twice to make up for the reduced volume that happens when you melt the wax. Some people use kitchen scales to weigh their wax to determine how much essential oil to put in. If your wax comes with instructions for how much oil to use with weight as a guide, you can use this method. Otherwise, you can use about 30 to 40 drops, more or less depending on the size of the candle you’re making. Before you get to melting and pouring your wax, you need to get the wick secured. The base or bottom of the wick has a small metal disk attached and that’s what you’ll use to attach the wick to the bottom of the jar. Use a small dab of wax, or a sticker (if your wick or kit includes them) on the bottom of the disk and place it firmly in the center of the bottom of the jar. Then, secure the remainder of the wick to one of your sticks and lay the stick across the mouth of the jar. If your wax granules (or flakes) aren’t already in your glass measuring cup, pour them in now. Place the cup in the microwave and heat for 30 seconds. Open the microwave and use one of your extra sticks (or an orange stick) to gently stir the wax. Continue to microwave the wax in short, 30-second bursts, stirring the wax after every 30 seconds burst. Note: in addition to stirring frequently, you’ll need to be taking the temperature frequently too. Check your wax for instructions on the optimal temperature, though most soy waxes are suitably heated at 170 to 180 degrees. Add in coloring once the wax has melted if you’ve chosen to make colored candles. First, add a couple inches of water to your pot or double boiler (if you’re using a double boiler, check for instructions and amounts specific to the double boiler itself). Begin heating the water on the stove and transfer your wax flakes to the metal pitcher or top pot of the double boiler. Then place the pitcher (or top double boiler pot) into the pot and bring the water to a boil. Keep a close eye on the wax and make sure you’re stirring and measuring the temperature frequently. Again, heat the wax to its optimal temperature (typically 170 to 180 degrees, but check the instructions that came with you wax). If you’re adding colors to your wax, now is the time to add it in. Once your wax has reached the necessary temperature, it’s time to let it cool a bit. You’ll need to wait a few minutes for it to cool sufficiently. Note: some people prefer to prepare and secure the wick during this step rather than at the beginning, and that’s fine too, however, beginners may find it easier to keep track of everything by securing the wick before melting the wax. Frequently check the temperature as the wax cools. Most soy waxes need to be cooled to about 140 degrees. But once again, check the instructions that came with your wax to be sure. If you don’t wait long enough for it to cool, you risk evaporating the majority of your essential oils. Once the wax has cooled enough, you’re ready to add in your essential oils. You can tailor the scents to your preference and use a single scent, or a combination of multiple scents. Plan on adding anywhere from 20 to 40 or 50 drops depending on how strong you want the scent. Note: If you’re chosen to weigh out your wax, as a general rule, about half an ounce of essential oil is sufficient for about 16 ounces of wax flakes. Try to remember that scents will not be as strong once the wax has hardened and fully cooled, so don’t go overboard adding scents. But don’t panic if the wax smells slightly strong for your preference when the wax is still melted. Now you’re ready to get that wax into candle form. Always use oven mitts or another protection to avoid accidental burns. Be patient when pouring, and go slowly to avoid creating wells and bubbles. In most jars, you should be leaving about an inch or so of empty space from the wax to the mouth of the jar. Any extra wax can be saved and used to fill in ‘wells’ (aka dips and dents in the wax) later. Now let your candle cool and solidify in a stable place where it won’t be disturbed. If left to cool at room temperature, it can take as little as 4 hours or as long as 8 hours. Once it’s fully cooled, trim the wick and leave about ¼ inch of wick standing above the wax. Now that you’ve finished your candle, it’s time to burn and enjoy it, gift it, brag about it, and just generally be pleased with yourself. You’ve done it! You may have other favorite scents that you’re itching to make into a candle, and that’s a nice aspiration, but not all scents are suitable for use in candles. Not only can you be dealing with a candle that doesn’t burn evenly, doesn’t release the scent, or emits smoke, you won’t know the effects of said favorite scent when it’s burned. Remember, only use essential oils or scents designed to be used in candle making. Using essential oils to make your own candles can be a very gratifying way to enhance your surroundings and provide yourself with an industrious new hobby. The candles you create can go anywhere with you to provide that little something extra, enrich your environment, or become awesome handmade gifts that anybody would love. Just follow the above steps and tips and you’ll be on your way to being a budding candle maker. Next articleIs It Ok to Put Coconut Oil on your Face?